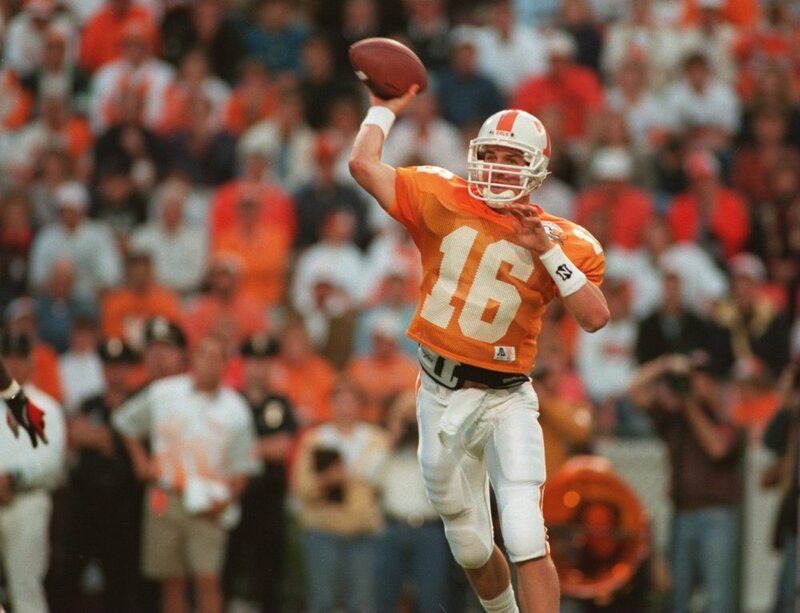 As a lifelong Tennessee fan, I have been rooting for Peyton Manning since he first marched on to the Rose Bowl field for the Volunteers. I have since rooted for him during his legendary career at U.T. and through his record setting years with the Colts. Since he signed with Denver, I have enjoyed seeing Manning win in Big Orange again. I write all of this to emphasize that no one will be rooting harder for Peyton to win the big game than I. Yet, think about what the Super Bowl means to us collectively. We will make sure we make preparations to not miss it. We will set V.C.R. 's and D.V.R.'s. We will alter and change our schedules. We will make sure we are able to see it. We will make sure we have bought food. Snacks will range from chicken wings to nachos to brownies. We will have plenty of sweet tea and Orange Crush to quench our thirst. We will make sure we have all the info about the game. We will read the stats, injury reports and strategies. We will learn all we can about the keys to victory for both teams. We will invite others to come and enjoy the game with us. Family and friends will be invited to Super Bowl parties small and large. We will try to gain support. We will try to convince all fans whose teams are not playing why they should root for Denver. We will even try to change the minds of Seattle fans. Yet, will I make make sure my schedule contains adequate time for worship, Bible classes, and church fellowships? Will I be willing to share my blessings with others who do not have food to eat? Will I spend as much time as I can to make sure I know everything about God's word I can? Will I invite others to come and worship and study with us? Will I try to covert those who are outside of Christ? 100 years from now, it really will not matter who wins. It will matter what my relationship with the Lord is. There is nothing wrong with watching football, nor rooting for a particular team. However, imagine what the church would be if we put as much of our time, energy, money, devotion and enthusiasm into serving the Lord as we did the N.F.L. Those of us in Colorado are pretty sure we know who will win the Super Bowl, but none of us really know. Yet, when we serve the Lord and His church, we can be assured of being on the victorious team (Zeph. 3:17). Where will your priorities be tomorrow? Horse Sense Teaches Us Where Strength Comes From. When questioning Job, God asks if he knew where the horse got its strength (39:19). Yet the Psalmist reminds us the horse’s strength is nothing to count on (33:17). Far too often we try to handle things on our own and rely on ourselves. We think we must pull ourselves up by the boot straps and take care of our own self. Solomon reminds us that true strength and victory comes from the Lord (Proverbs 21:31). If we use good horse sense, we will trust in the Lord and lean on his strength, not our own. Horse Sense Teaches Us That We Should Not Look Back. One of our favorite things to do with our Belgians was to plow. We would use them in our garden. Even more fun were the several plow days throughout the year. When one is trying to plow properly, he must keep focused on where he is at and where he is going. Begin to look around or back and you will have crooked rows, if not worse. In Luke 9:62, Jesus said once we go to work plowing for Him, we must also stay focused on where we are and where we are going. It takes only a moment of looking around and getting distracted by the world before we will be heading down a crooked path. So, if we use a little horse sense, we will realize that we should stay focused on living a Christian life. Good old fashioned Horse Sense helps illustrate some important lessons from God’s word. However, the Horse Sense and the Bible are both of value only when we use them! Whether or not the Broncos win a championship this year really will not matter in the long run. However, remembering these lessons about horses will benefit us eternally!